Whether in training for a specific sport or event or working out to reach a particular goal, we all want that heart-bursting-through-the-chest feeling — it means we're really pushing ourselves to the limit. Sometimes we get that feeling by sprinting or running long distances, by lifting our max at the gym, working our butts off in a group fitness class like boot camp, or by out-hustling others on the court or on the field. But wouldn't you want to know just when that feeling will hit? Wouldn't you want to monitor, gauge, and track it? For most, a heart rate monitor can do just that. There are all types of "wearable" heart rate monitors out there, including chest straps, arm bands, wrist bands and watches, and even wireless earphones. It's very common to see people at the gym with a wrist wearable, and while they might look cool and be practical, those function on optical technology, which is relatively newer and not very accurate, especially at a higher heart rate. In order to make smart decisions about your training and your workouts, you need a heart rate monitor that utilizes electrical technology. Enter MYZONE. MYZONE is a physical activity belt that monitors your heart rate in order to determine the exact amount of effort you exert during exercise (aerobic or anaerobic). What sets it apart from other activity trackers on the market is that, while those other trackers only count your steps and estimate the amount of calories you burn, MYZONE's technology guarantees it will provide you with accurate and personalized results to help you make the most of your daily workouts. In fact, MYZONE is 99.4% accurate with its heart rate measurements, which is the highest accuracy you can achieve with a wearable outside of what is measurable with an EKG machine. 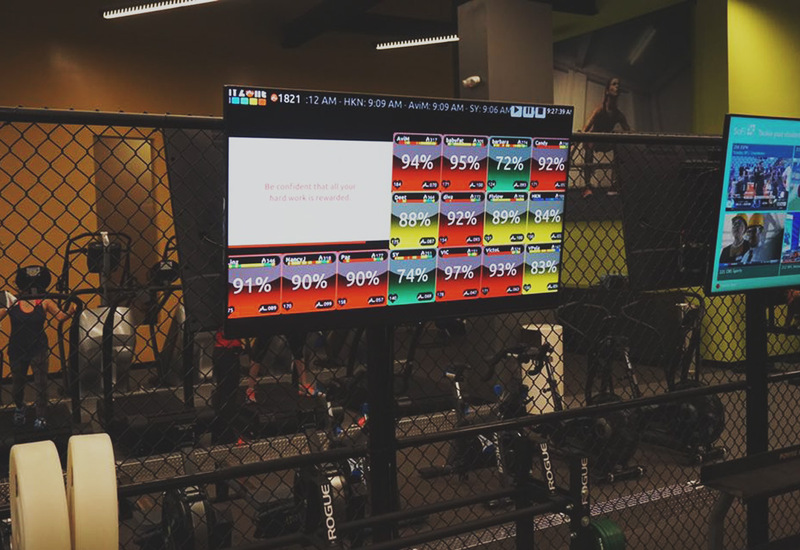 The MYZONE tile shows you extremely useful real-time information during your workout, including your heart rate, number of calories burned, percent of maximum effort being exerted, what effort zone you are currently in, and how many MEPs (MYZONE Effort Points) you have earned. This not only helps you track how you're doing, it also motivates you to do more. This zone indicates that your effort level is between 50-59 percent of your max, which is about 91-107 BPM (beats per minute) for a 35-year-old individual. This is an active resting state, where you're typically waiting to start your workout, in-between sets, or walking back to the locker room after your workout. This zone indicates that your effort level is between 60-69 percent of your max, which is about 109-125 BPM for a 35-year-old. This is generally a moderate intensity, which would equate to your warm-up zone and/or active recovery zone. Activity such as light resistance or weight training, light jogging, or brisk walking will get you into the blue. Now you're moving with a little more purpose. The green effort zone indicates that your effort level is between 70-79 percent of your max, which is about 127-143 BPM for a 35-year-old. This is the general aerobic zone, which tends to be a comfortable zone for most people to work out in. Interestingly enough, however, it's not where all the health benefits of exercise are. Exercise like moderate resistance or weight training, running, or hiking will get you sweating in the green zone. Someone has some goals to reach! The yellow effort zone indicates that you're working at 80-89 percent of your max, which is about 145-161 BPM for a 35-year-old. This sub-maximal zone is where most people's anaerobic threshold is. In other words, it's where exercise starts to become uncomfortable as muscles run out of oxygen to burn for energy and turn to sugar instead, creating lactate and giving you that burning sensation in your muscles. Tapping into this zone or higher for more than 25 percent of your workout will elicit great health benefits, but, depending on the level of your conditioning, it's recommended that you build up to the yellow. We see you! Working out in the red zone means that your pushing your effort level to 90-100 percent of your max, which is about 163-181 for a 35-year-old, generally well beyond the anaerobic threshold. Working out in this maximal effort zone means you're doing intense activity such as sprinting, hill runs, and sled push. In general, it's recommended that you limit the amount of time spent in the red to about 10 percent of your workout, particularly when you're close to or at 100 percent effort, because this intensity level you can strain your heart. Now that you know what the zones mean, how do you use them to better monitor your workouts, intervals, and rest periods? We'll cover three general types of workouts and how you can use MYZONE to get the most out of them. And the best part is that as your fitness levels change and improve, so will the accuracy with how you train! When you're working out with heavy weights and performing traditional sets with 5-12 rep schemes, you'll generally have a rest period in-between. Most people guess at what this rest period should be and will generally range anywhere between 30 seconds to three minutes. With MYZONE, the guesswork can go away. By allowing your heart rate to return back to the gray zone, it generally means you're fully recovered and ready for your next set. There are many different types of interval programs that have different research behind them, and most of them work well to an extent (depending on your specific goals). For a typical interval workout, you're generally performing either cardio or a series of exercises lasting anywhere between 30 seconds to two minutes, then resting for a similar amount of time before the next round. 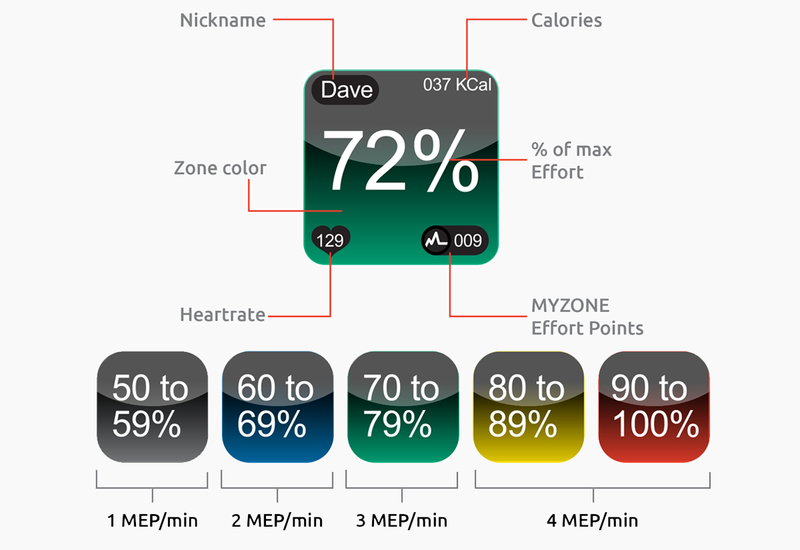 But with MYZONE, you can customize your intervals based upon how your heart rate responds to them. During exercise, you should get up into the yellow and red zones, and then your rest period becomes the time it takes to reach the blue zone, in which case you'll start your next work interval. The beauty is that as you get more fit, it will take more effort to get into the higher zones and less time for your heart rate to return to the blue, thus creating a constantly progressive customized interval program. For longer bouts of endurance training, your primary goal is to get as much work or distance in without hitting that wall, which will slow your pace. That wall is your anaerobic threshold and, as your body transitions from aerobic to anaerobic, you'll start to feel muscles burn and your body slow down. For most people, this is somewhere between 85-92 percent of your max heart rate. The key is to condition yourself to increase that threshold and be able to buffer the lactic acid build-up quickly so that your work capacity doesn't drop off too much. Experienced endurance athletes know where their anaerobic threshold is and can perform right up to it without going over. The tricky part is that heart rate is a delayed response to anaerobic threshold, so as you start to approach the yellow zone, you'll want to really listen to your body to see how far into the yellow you can get without losing pace or work capacity. When you do, your body will start to slow a bit and you'll know that you have reached this threshold. You'll then be in a state of active recovery until your lactic acid clears just enough to get back to that sustainable pace or work capacity. 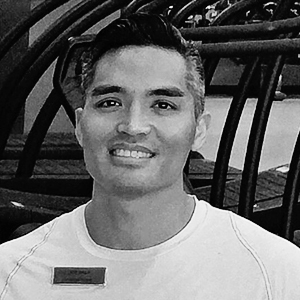 Joe Bala is a certified personal trainer at ClubSport San Jose and an athletic sports coach for basketball. He is currently working on his master's in Exercise Science. 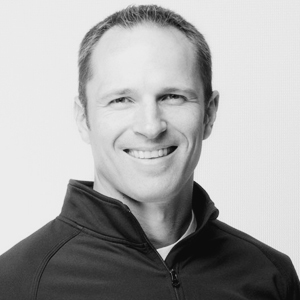 Dan Benton is the Wellness Director at ClubSport San Jose. An Elite Personal Trainer with extensive fitness and training knowledge, he has a passion for sports, fitness, and health, but even more so for helping people reach their full potential. Dan strives to help everyone find the athlete within and to be the best they can in their performance and everyday life.